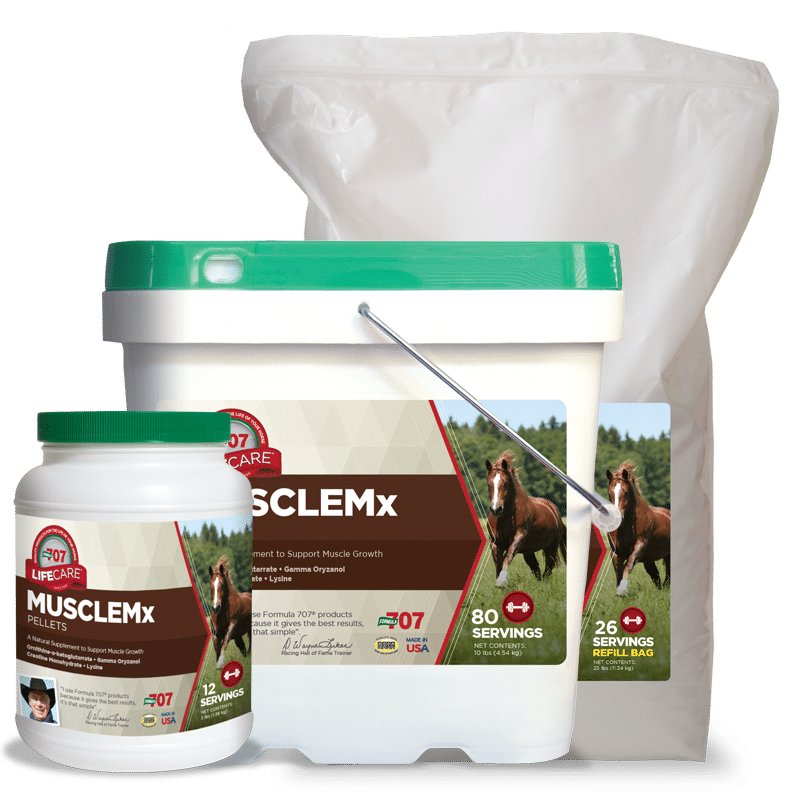 Empower your horse’s metabolism to build optimum definition and muscle mass. Combines four natural ingredients that synergistically encourage muscle-building metabolic reactions. Lysine, an amino acid, aids in developing muscle-building proteins. Gamma oryzanol encourages weight gain and muscle formation. Creatine helps supply energy to muscle cells by stepping up production of ATP. Ornithine-A-Ketoglutarate (OKG) helps the body bypass metabolic processes that prevent new muscle development. 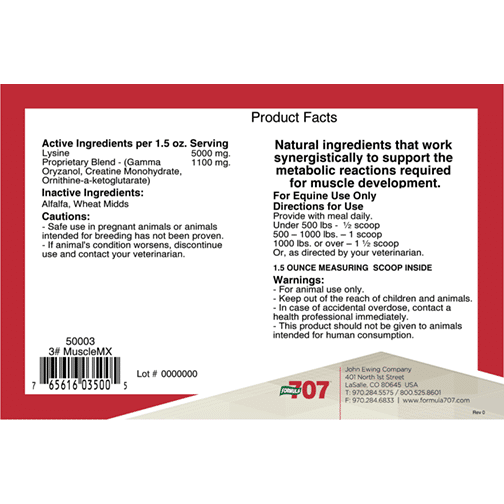 Formula 707 MuscleMx combines four natural nutrients that work synergistically to encourage the metabolic reactions required for muscle growth and development. Lysine lays the foundation for the formation of muscle-building proteins. Gamma oryzanol, a natural plant extract, assists in weight gain and muscle formation. 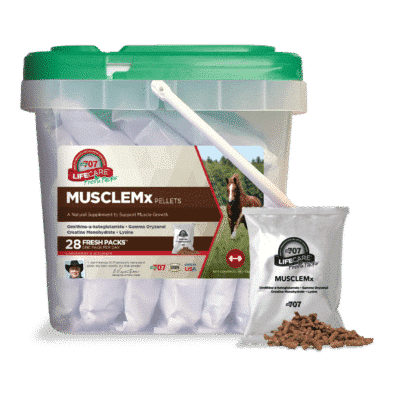 Creatine, a naturally-occurring organic acid, helps supply energy to muscle cells by stepping up production of ATP, the body’s energy-transport molecule. And Ornithine-A-Ketoglutarate (OKG), an organic salt based on the amino acids ornithine and glutamine, bypasses the inhibitory metabolic processes preventing new muscle development. 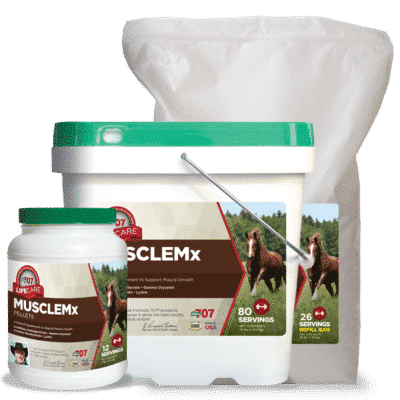 MuscleMx provides real, natural results.